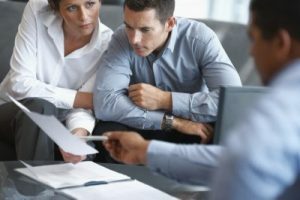 If you and your spouse have decided to divorce, you likely have very different opinions on many things and settling your divorce will be no different. Divorce can bring out strong emotions from both parties and is widely regarded as one of the most stressful life events, alongside things like the death of a loved one, a sudden job loss and a health scare. And yet, many important decisions must be made through the divorce process that create a path forward for both you and your divorcing spouse. Some seek solutions via the court system, and other couples decide to pursue divorce mediation to negotiate the important issues in a divorce. You may wish to go the mediation route because it is drastically less expensive, less stressful and takes less time, but because mediation is entirely voluntary, your partner has to agree to move in this direction. If you live in the Chanhassen, Shakopee, Richfield, Bloomington, MN area, Johnson Mediation can help you get your spouse to the negotiating table so that you can move forward in a positive and productive way. One way to encourage your partner to attempt to settle your divorce via mediation is by discussing the many benefits that mediation offers to a divorcing couple and their family. ● Less expensive: Divorce mediation generally costs significantly less than a court battle. Some estimates are that a typical divorce will cost between two and 10 times more than one settled via mediation. In addition to monetary cost, mediation costs less emotionally for both parties. 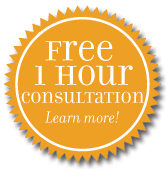 ● Takes less time: Issues such as division of property/assets/debts, child support, and even child custody issues can usually be resolved in 3-4 two hour mediation sessions. A court battle can take months to resolve. ● Entirely confidential: Mediation is entirely confidential and cannot be used as evidence in court, even if the mediation is unsuccessful. ● Can be flexible: Mediation allows you to come up with solutions for issues unique to your family that are creative and outside of the box. ● Allow you to be in control: You are more in control of your own future when you resolve your divorce using mediation, rather than being at the mercy of the court system. Johnson Mediation offers free consultations to new clients, so if you would like to learn more about pursuing divorce mediation or another divorce support service, call us today at (952) 401-7599.